If you cast your mind back a year or so, Android Wear was represented by the LG G Watch and the Samsung Gear Live. Two smartwatches made by two tech companies that clearly forgot to go out in public and see if anyone wanted to wear these prototype-looking timepieces. While Samsung has seemingly ditched Google's OS altogether, LG has learnt its lesson, as has Motorola, and we're finally beginning to see Android Wear we'd proudly show off. But there's a new wave of Android Wear watches from the companies that've been making watches for years. From Casio to Tag Heuer, the big players are finally ready to embrace tech and clearly don't want to be left behind. There's already been a mini invasion of Google-running smartwatches at this year's Baselworld watch fair. Here's the breakout smartwatches that are starting to give Android Wear a good name, and one that's got some work to do. The US watch brand is following in the footsteps of Casio's Outdoor smartwatch with the interestingly named, The Mission. It's rugged, water resistant to 100 metres, can be customised with a host of different clip on casings and crucially, it retains the good looks of a traditional Nixon watch. There's unique features onboard here as well if you love the great outdoors. 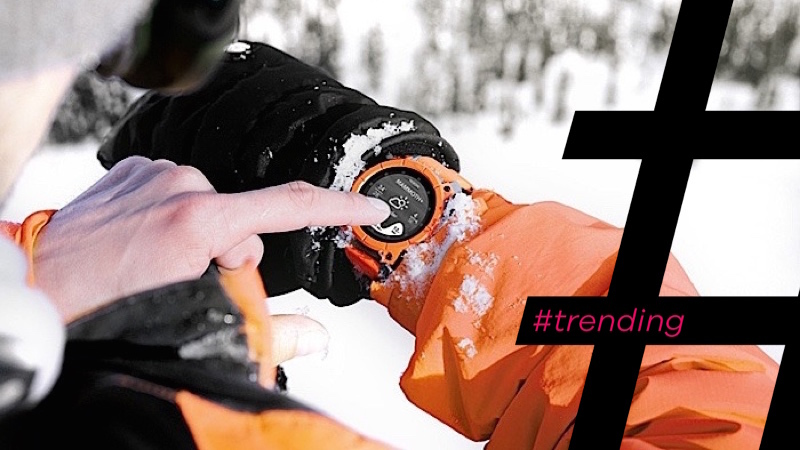 Built in sensors will tell you about tide times, snowfall and there's native apps from Surfline, Snowcountry and action sports tracker outfit Trace. If an Android Wear watch for adventurers is what you're after, The Mission could be the ideal fit. Fossil has promised over 100 new wearables this year and has already announced two new Android Wear smartwatches at Baselworld 2016 with Diesel and Kate Spade models incoming too. We've already lived with the first Fossil effort, the Q Founder, and we think the image above illustrates where the fashion brand needs to do some work. We hoped the flat black tyre at the bottom of the screen was something unique to Motorola's 360, but it managed to pop up on Fossil's Android Wear debut as well. It's a shame really, because if you removed that black bar, you'd get a really nice looking watch. We could even overlook those quirky Curiosity challenges that it bugged us with during the day. The Chinese company behind the Xwatch, a $99 Android Wear watch has made some pretty ambitious promises about what its smartwatch is capable of. Will we ever see it? We highly doubt it. Plain and simple, Google keeps a tight reign on who can play around and customise its operating system. It's a radically different approach from its policy for running Android on a smartphone. The big G doesn't want things to get too fragmented. Bluboo is a bit of an unknown entity when you compare it to iconic watch brands like Nixon and Fossil. It's fair to assume that this is one affordable, sporty smartwatch we will do without.